The Wimbledon of chess commenced again this January and will last through Jan. 30, in Wijk aan Zee, Netherlands. Tata Steel, as it is currently known, has been a mainstay among top international chess events for the past 81 years. Located on the North Sea, Wijk aan Zee is a seaside resort town in the summer, and chess haven in the winter. 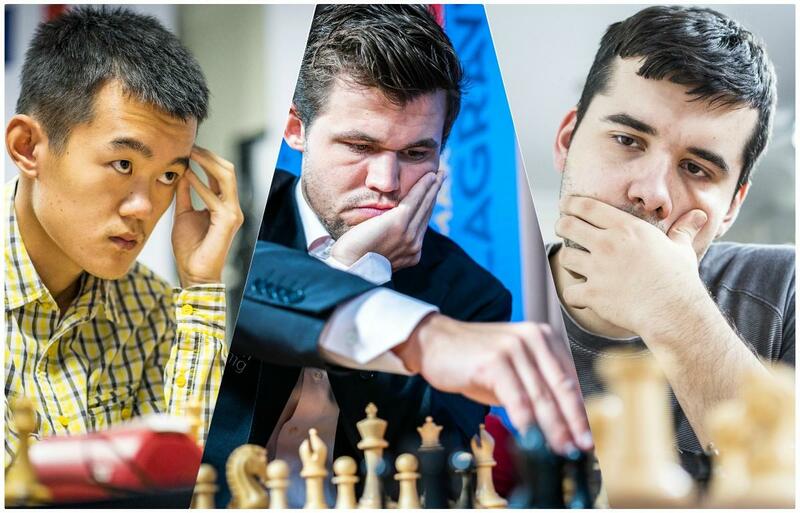 Ding Liren, Magnus Carlsen and Ian Nepomniachtchi are the favorites for winning the "Wimbledon of chess," also known as the 2019 Tata Steel Masters. The first super-tournament usually sets the tone for the whole year; Therefore, it’s very important for the world’s best players to start off with a bang. Currently, the tournament has two young and ambitious leaders: Russian grandmaster Ian Nepomniachtchi, and the strongest Chinese player, Ding Liren. Both players travelled to Wijk aan Zee in the hopes of winning their first super-tournament. On the other hand, this year’s Tata Steel Masters will be the toughest yet, with many old and new faces participating in the 2019 edition. Interestingly enough, the event features the youngest field ever, with more than half of the participants under 30. The outliers are Viswanathan Anand, 49, and Jorden Van Foreest, 19. It’s going to be a long and exciting tournament with three World Champions participating: Vladimir Kramnik, Anand and reigning world champion Magnus Carlsen. This tournament will be a tough one. Unlike other events, the “underdogs” get a shot to show their mettle against the best of the best. I’m expecting the Polish grandmaster Jan-Kryzsztof Duda to pull off a stunner, as he’s been steadily climbing up on the rating list and is now rated 20th on the world rankings at just 20 years of age. I would not count out the other youngsters, either. Among the young and new faces, we have Sam Shankland, representing the United States. He is the 2018 U.S. Champion, and just like Duda, he is also getting closer to the very top on the ranking lists. Vladimir Fedoseev and Richárd Rapport always show creative chess, albeit not always consistent. They are more than capable of creating masterpieces against the best. In fact, Rapport has a perfect score against Carlsen and will face him again in round 8 this Sunday. Even though the youngsters will have their fair share of fun, we must mention the favorites of the tournament. The current leader, Ian Nepomniachtchi, was always considered a tremendous player and will have a clear shot of becoming a champion this year. Right behind him is the first Chinese world-champion candidate, Liren, who would like to score his first ever victory in a super tournament. In the middle of the pack, you will find the reigning and ex-world champions: Anand and Kramnik have great experience playing in super-tournaments, as they have won many of them. But will they be able to stop the avalanche of new, young superstars? For now, that is an open question, but with so many rounds to go — and with experience on their side — they might be able to outpace their younger rivals. Last but not least, we have to mention Carlsen. He had a topsy-turvy 2018, narrowly beating his American challenger Fabiano Caruana to retain his title, but even so, he is obviously the biggest favorite of the Tata Steel Masters. He is a few points behind the leaders, Nepomniachtchi and Liren, but with a long tournament ahead, anything can happen. The 2019 Tata Steel Masters looks like a promising event. The question is: Would you bet on Carlsen, or will this be the a youngsters' paradise? To keep up with the current tournament and standings, visit the tournament website. Denes Boros is a grandmaster from Budapest Hungary. Like many other titled chess players, I have had the opportunity to be a long-term coach for many young talents. Shaping a new generation of players is an honor and an important responsibility. Hence, I am often searching for ways to communicate complex ideas in the simplest possible form. My views are certainly influenced by my academic background. I recently completed my Ph.D. in applied mathematics, and I have spent the last five years teaching college mathematics, reading scientific papers and conducting my own academic research. After three weeks of play and 12 consecutive draws, the World Chess Championship ended Wednesday during a tiebreaker round. St. Louis resident Fabiano Caruana lost three straight tiebreaker games to defending world champion Magnus Carlsen of Norway. Caruana had hoped to become the first American champion since Bobby Fischer beat Boris Spassky in 1972.